Traditional perm rods roll the hair over itself, while a spiral rod will keep hair separate in a corkscrew pattern. The main difference between a traditional perm and a spiral perm is the way they are wrapped. The different wrapping method used in a spiral perm creates curls that resemble springs and they work best with longer hair. The rods used to wrap a spiral perm are long and slender with a corkscrew design that the hair follows when being wrapped. These rods are also bendable and can be attached to each other to accommodate longer hairstyles. Divide the hair on the head into four square segments, including the top, the sides and the back. Clip each segment of hair together to keep separated. Start wrapping with the bottom back section of the head and work your way up to the top of the head. This will allow the rods to lie comfortably on top of each other. Grab a small amount of hair and place a rod by the head. Work your way down the rod to the tips of the hair and secure in place. Continue rolling hair in each section, working from the bottom of the section to the top until all of the hair has been wrapped. 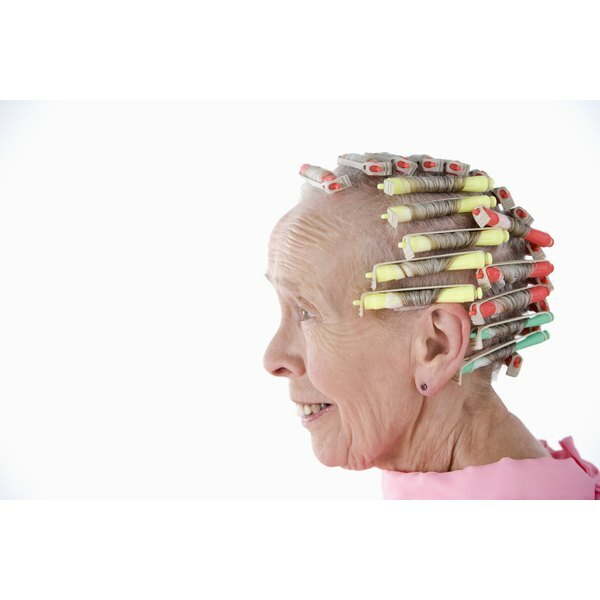 Wrapping a spiral perm can be done using longer, regular perm rods by rolling in a similar fashion from one end of the rod to the other. Heather Leigh Landon has been a writer since 1988 when she started her career as a stringer for "The McHenry Star News." Since then she has worked for newspapers such as "The Woodstock Independent," "The Northwest Herald" and "Press Journal." Landon graduated from William Rainey Harper College with an Associate of Applied Science in journalism.